So you've recently went and seen Thor, Iron man 2, or Spider man. You thought they were pretty good, so you've picked up their latest game. But, that sucked, so you start thinking about the comics. You nervously stumble into your local comic book store, where there are shelves upon shelves of comics, trades, hardcovers, and graphic novels in front of you. When the store owner comes over and asks if you need any help, you reply "No, just browsing" and slowly crawl out of the store in confusion and disappointment. "Maybe comics just aren't for me" you tell your self, in a less then sincere tone. But something keeps pulling you into the world of Marvel. You've got a new itch, but you just don't know quite how to scratch it. 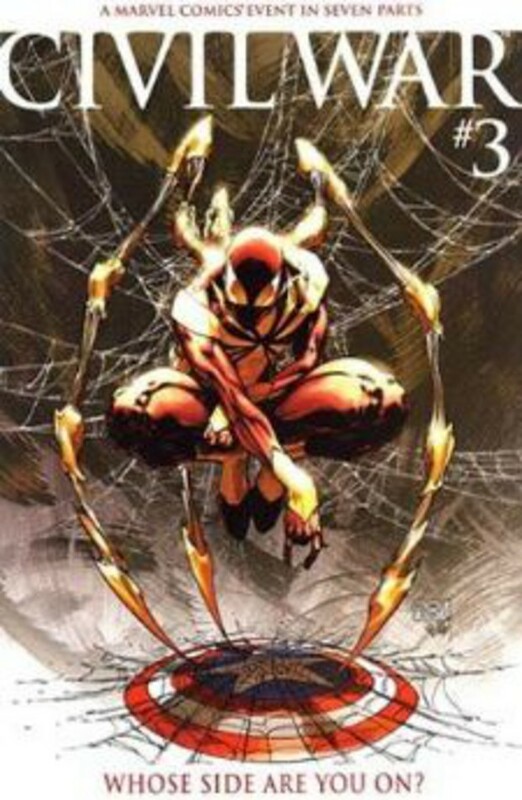 You try downloading the digital equivalent of an entire library worth of spider man comics, and start at issue 1, but you just get burnt out on the whole experience by issue 20. You don't know what to read, where to start, which comics are good, so you give up. But don't worry! I'm here to help! Just follow these few steps, and you too can begin to indulge in the world of comics and superheroes. Step1. Understand you are not going to know everything. The comic book world is huge. Way bigger then any video game. Metal gear, a enormous universe, encompasses canonically, 8 games. Volume 1 of Thor, has 376 issues, and 18 annuals. And there are 3 volumes. To say the lore, and story of comics is daunting, is an understatement.And the stories of comics are just as topsy turvy as Metal gear. Thor dies, comes back, gets banished from Asgard, goes to hell, comes back dies, comes back, gets banished, then there are two thors, then he fights his grandfather, then Odin is turned into snow and drifts away with the wind. Step2. Pick a starting point. My personal suggestion to everyone is to start at Civil War. The art is great, the story is fantastic, and it pretty much includes the entire pantheon of the marvel universe, minus (notably) the Hulk. Cross overs are always a great place to go to as well. Anything with the word Avengers in it, is going to include allot of cross over characters, and include, not only the one character you might be looking for, but perhaps a new favorite hidden inside. For me, that was the Sentry. 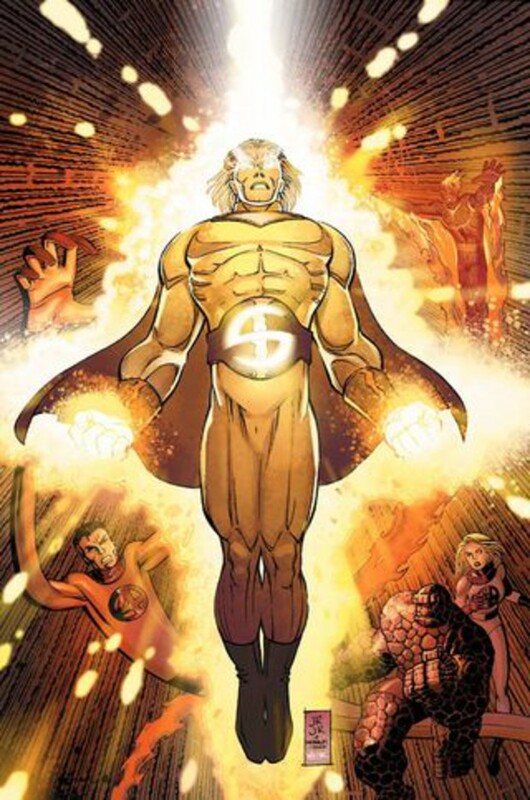 After reading some of the new avengers, and Dark Avengers (Two very good comics btw) I was immediately drawn to this unstoppable force of nature, with the power of 10,000 exploding suns, he is the superman of Marvel Comics, but he's an Agoraphobic bipolar homeless man who stumbled on his powers, and has no idea how to control them. The dynamic he creates, especially in Dark Avengers, Is simply fantastic. So by reading Dark Avengers, I decided to Read the Sentry, witch lead to me wanting to know more about him in the New Avengers, Which led me to the Mighty Avengers. And all these series culminate with the events of Siege. So by reading one series of comics, I came to read 4 more. Picking a starting point is so important. Throw away the expectation of understanding everyone's back story, and throw away the desire to start at point 1. Start at a crossover, or event that includes the character your interested in, And branch out from there to what ever peaks your interest. Don't be afraid to go back in time with comics. You can start at Siege, and then read new avengers. That the point I'm trying to make. Also, it's a good idea to give yourself a destination as well. Say the events of Siege, the fall of Asgard are inciting. Well, start from the beginning of a particular story ark that leads up to Siege, for example, The Mighty Avengers leads up and ends at Siege. It's a great story line, and it gives you a clear destination in mind. Just say to yourself, "I want to know about the events that led up to event a and b" and you've got a good mindset in the comic world. But above all else. Look at a cover, read the back, and pick up what looks and sounds cool to you. You can get a thousand recommendations for a hundred different comics, but if your not interested in it, you wont read it, simple as that. Step 3. Mini-series and one-offs. These are always a great place to start. These self contained stories, Like Marvel Zombies, give you a chance to read an entire story line without any back story or prior knowledge to the characters, and just simply enjoy it without worry that you are missing something. 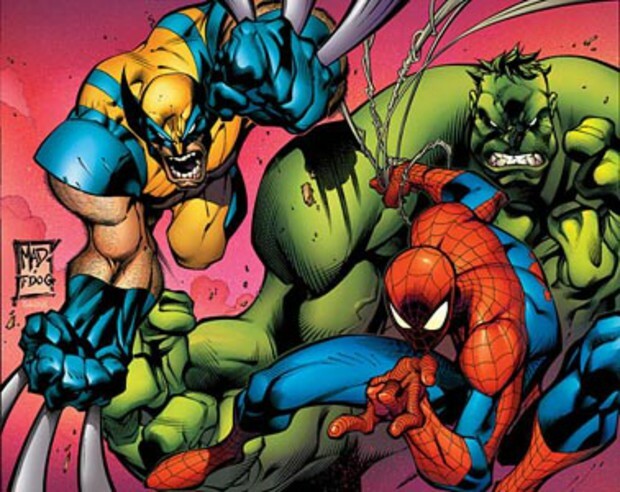 Marvel Zombies in particular, has no defined starting point in the marvel universe, and changes up key characters to signify that this is in no way cannon. Captain America is turned into Colonel America, and was president of the united states for half a term. Iron man is in a very old looking suit, although they never say what mark it is. Along with those, a bunch of small things are changed and differ from the actual marvel cannon. It's just one self contained story, and It's sometimes great to know, there isn't a thousand other comics that tie into it. 1. Get trade paperbacks. They are usually 5 up to 10 comics combined for one story arc. These collected editions are easier to hunt down, and allot more convinent. Hardcovers can sometimes be more issues then the trade, so always look at the back of the comic to see what has been collected, so you don't overlap your purchases. 2. Use wikipedia. It is an amazing source that can tell you exactly which comics have been collected into which trades. Not only that, but often times, it well tell you who is part of the current line up of x-men, or who was in the mighty avengers. It's a great source for comics, that I've used multiple times. 3. Read Civil War. Seriously, it's awesome. *New Avengers. Goes over a large time span of the marvel universe. Civil war, Secret invasion, House of M, ect. 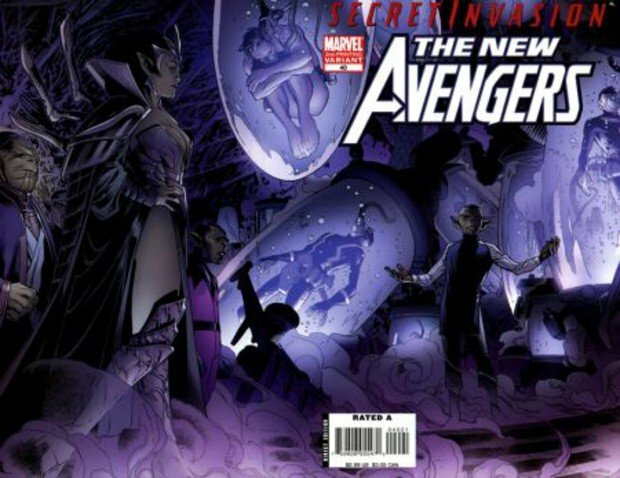 A large series, that well let you see allot of what the marvel universe has to offer. 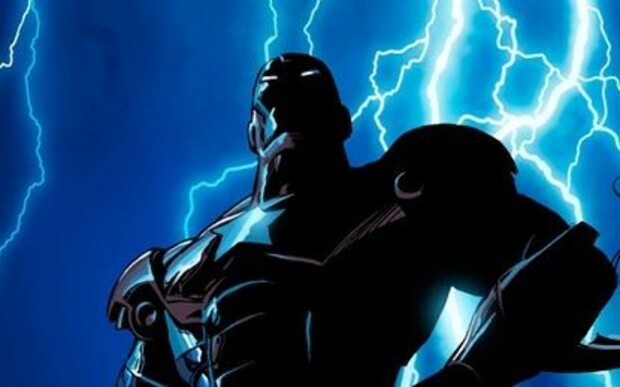 *Dark Avengers. A great villian centric story. Shows just how insane, yet determined Norman Osbourne is. *Siege. Probably my favorite Marvel 'event'. A good crossover, and a huge turning point in the marvel universe. Well, I hope this has helped you all in your search for comics! If you've ever wanted to get into comics after playing a Spider man game, or even just after watching the latest marvel movie, If you follow these 4 tips, You'll have a great collection of super hero comics.